I had meant for this to be a two-part series, but there’s just too much to talk about! Remember, these are cards at $5 or more that might well be sorted into bulk boxes, because many of these were very cheap at one point. I’ve already gone to my boxes and re-sorted more than once. 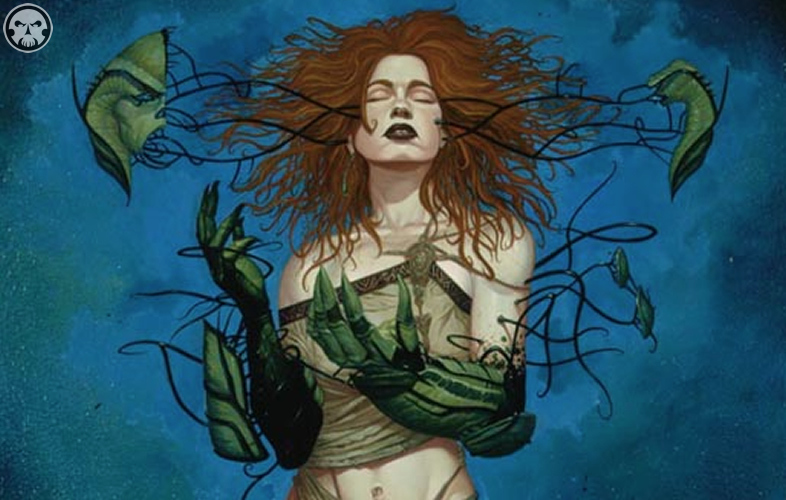 Unmask is perhaps one of the most busted things to do on turn one in Legacy or Vintage. It does cost you an extra card, but it needs no mana and has to be countered. (Otherwise, you’re taking that counterspell!) There was a time when I played in a tournament, when it was called Type 1, and I played this before anything else. They cast Force of Will, so then I played Swamp-Dark Ritual–Hypnotic. Brutal. Dust Bowl has seen play in Legacy rarely, it’s more of an EDH card. It’s very good at what it does, turning all of your basics into Wastelands. Mostly, it’s a second Maze of Ith, but if they attack you and you have blockers, you can kill their creature without losing one yourself. It’s better, but it costs mana. One of the iconic engine cards in token combo decks. Make X creatures, sacrifice them, do something silly. Casual all the way. It’s not used with combo decks, because it needs a creature. Commander players can just play Demonic Tutor, and often do alongside this. I’ve see it the most with Child of Alara decks. Wipe the board and find what you want! Your eyes do not deceive you. The Mob is indeed. It’s all because a certain amount of casual players love their squirrels. It’s surprising to me that the foil is only double the regular, but then again, it makes sense. You want to play a deck with four Mobs, not two. Patron Wizard was brutal when he was Standard-legal, and remains a very good play in Wizard-themed decks. Karmic Justice is an all-star in Commander. This sees a little play in Legacy, as part of Enchantress decks or decks that want to put their shields up. This doesn’t have a condition that breaks the bubble, so once you can draw extras, having hexproof and prevention is pretty strong. Mana Echoes. How many times did I try to break this card and have it work in my Turbo-Thallid deck? I suppose I could do it now, but the thrill is gone. The card is insane, enabling all sorts of infinite shenanigans. It’s a two-card combo with lots of cards (Sliver Queen!) and with something like Skyshroud Elf it can make even a Jade Mage fill the board up after the third token. Blatant Thievery, along with Insurrection, is the card I love most about Commander. Slivers are going to show up several times on this list, and that’s because they are awesome and terrifying. If you built a Sliver deck back in the day (or several different days) and put it on a shelf, take a look at what it’s worth and have a gasp. While reprints are a factor in most cards, I don’t think new-frame versions of this card are going to hit this too hard. Either Fate Reforged or Dragons of Tarkir seems likely to have this card. The Commander combo with the Lens involves Snow-Covered lands. This lets you have the bonus be one-sided, which is handy considering that you’re down a card. Blowing this up feels so good, but bouncing their Lens feels even better! Solemn’s art dictates a price swing. This version, showing Jens Thoren, is worth more, as is the Commander 2011 version. I miss the Invitational winners getting their own cards! Gilded Lotus has had two set printings plus an FTV version, and is still going strong. The fact that you can tap it immediately and play a three-drop makes it so that you don’t lose much tempo. The Titan is another card with several printings that hasn’t impacted his price too much. He’s sometimes a Reanimator target, and is one of the most unfair things to Tinker up. Skullclamp really surprised me, I’d thought that its printings would have tanked the value further. The new-art version in Commander 2014 is at $2, which was my expectation. What’s the only thing better than lots of mana? Lots of mana times two! This is a hilarious card, as it’s only good when you have seven or more mana. Most Magic cards are good at that point. Its interaction with the God Kruphix is pretty darn hilarious. Marrow-Gnawer fits like a glove into that Relentless Rats deck you love. He needs lots and lots of Rats. Magic has given us lots of rats, but you can’t add Marrow-Gnawer to just any token theme deck like you could a card like Krenko, Mob Boss. The legendary lands from Champions are a real surprise to me. They don’t enter tapped and give one color of mana, so they are an upgrade over a basic land. Untapping and granting fear are neat abilities, preventing two damage is okay, granting first strike or +1/+1 is a yawn. I wouldn’t have thought the price difference would be so stark, though! Mirror Gallery. How fun…and this card was printed around the dawn of EDH as a format. Despite Commander players not needing this card, other casual formats keep the interest and the price high. Flames of the Blood Hand is at this price despite being in the Fire and Lightning deck. I wouldn’t be surprised to see it in Modern Masters 2. Burn players mostly opt for this over Skullcrack, but having both is not a bad choice. Ink-Eyes has a Planechase printing that’s $3 less, and was the prerelease promo. A great pickup for less than $5. First of all, understand that Champions and Betrayers were underpowered sets, Saviors just doesn’t have a lot of product out there. That adds upwards pressure on the prices. Mikokoro is popping up in some Death and Taxes list, as a pretty hilarious addition. Giving the other person cards is not a drawback if they are not usable. Erayo is banned in Commander but is pretty amazing in an Affinity list. Sakashima is an awesome and abusable cloning legend. Next week, we make it to Ravnica block, when Magic’s renaissance began. Phyrexian alter is from invasion not prophecy.